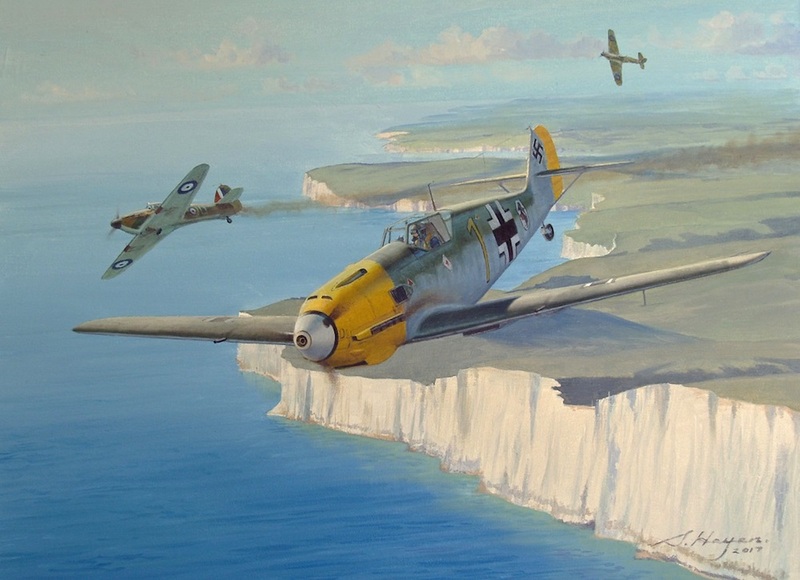 Stunning original oil painting on canvas showing Me-109 E of the Oblt. Josef 'Pips' Priller of 6/Jg51 engaging Hawker Hurricanes over the English Channel near Dover, 1940. Image dimensions: 16" x 12"